It is still unclear. 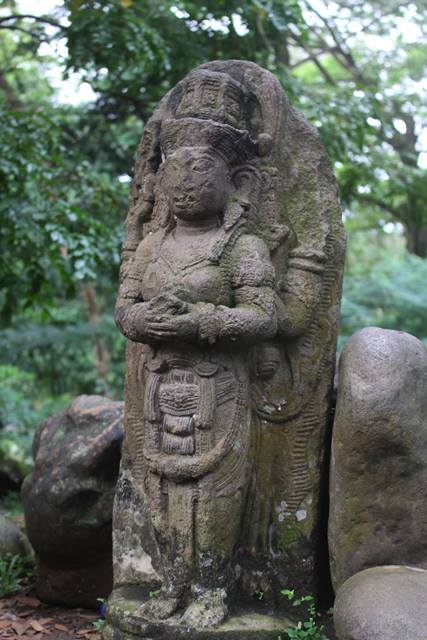 There is not enough reference about the age of this Shiva God and Nandi Bull statue. However, one thing that has been agreed is that both are old, very old. 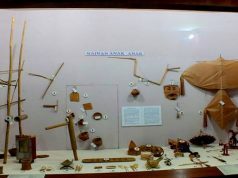 The artifacts are ones of things that can be found in Bogor Botanical Garden, West Java, Indonesia. The administrator of the Great Garden places both in open place that everybody can see while they walk around. 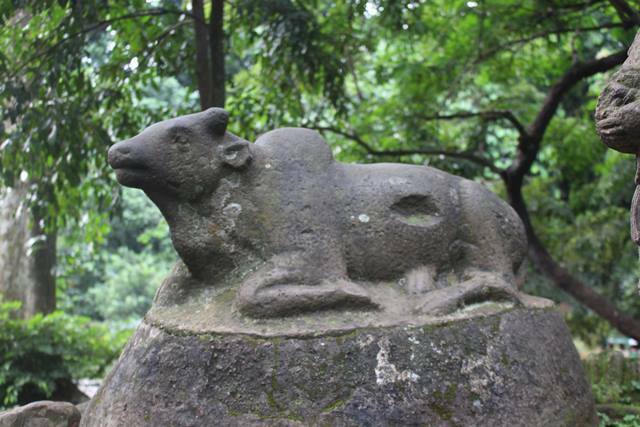 Peopla may no realize that both statue, the Shiva God and Nandi Bull statue are important for Bogor. 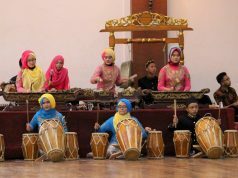 They represent a culture that once sovereigned the city long time ago, Hinduism. 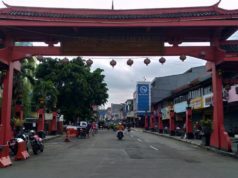 Indonesia’s historian recorded that there were several Hindu Kingdom ruled an area where Bogor City is now. 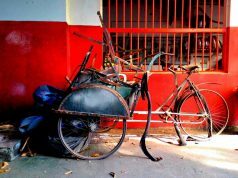 At least, two, that are considered as the biggest, names are always mentioned, Tarumanegara and Pajajaran (Sundanese) Kingdom. 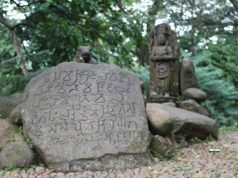 The first name was the Hindu Kingdom in 5-6th century and the last one is the one that is considered as the ancestor of Sundanese society in Bogor and ruled between 8-13th century. Therefore, it has been guessed that both statues were either coming from either past kingdoms. However, there was also another theory that both were coming from another Hindu Kingdom from outside Bogor. 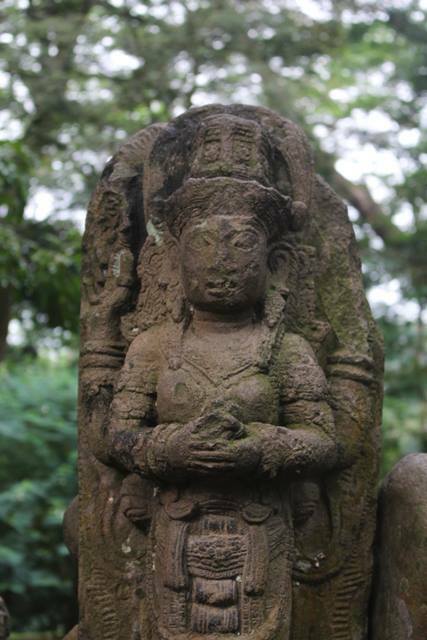 As known widely, that in the past, Hindu society was a major society in Indonesia before later replaced by Islam. The Shiva God and Nandi Bull statue represent one of important figure of deities in Hinduism. Shiva is the God of “Destroyer and Transformer” within Trimurti (Three Deities in Hinduism) who creates, protects, and transforms the universe. Meantime, Nandi Bull serves as the vehicle of the Shiva, event though actually he was a gate guardian of Kailasa where Shiva lives. He was described in the form of a bull who can fly. 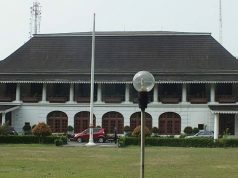 Both artifacts were not originally located inside the Bogor Botanical Gardens. 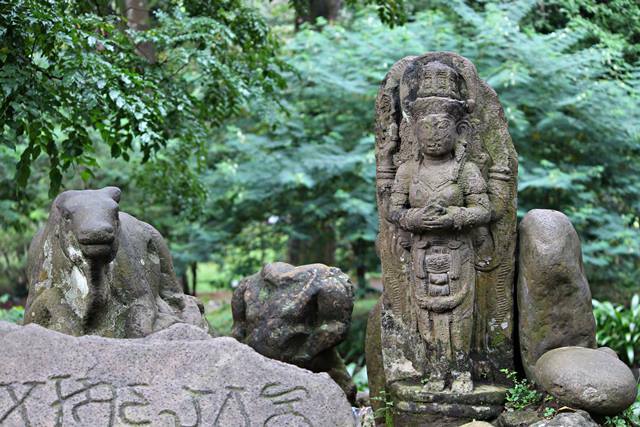 Some reference mentioned different stories about who found both statues. One tells that the statue founder was Dr Friederich, one of Germany botanist who worked for Lands Platentuin, the predecessor of Bogor Botanical Garden. 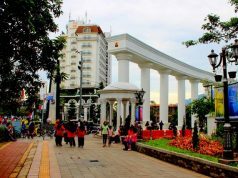 The other says that Georg Karl Reinwardt, the founder of Bogor Botanical Garden himself who found both in a location southern Bogor called Ciapus (now a district of Bogor Refency). it happened in 19th century not long after the Great Garden inaugurated, even the exact year was not known. 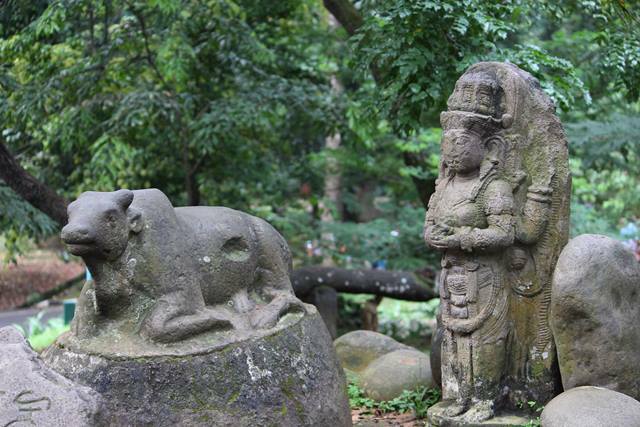 Should you wish to see both, the Shiva God and Nandi Bull statue, please enter the Garden from the main gate. It is the nearest entry point. Just walk until you find a T-juntion and take the right turn. Walk slowly because you may miss it if you walk to fast. Around 25 meter from the T-juntion, please turn your head to a mound on your right sight, or you can just try to climb the mount and you will find both standing. Many may not put attention to those statues but after you read this article, I believe you may have different way of thinking and can see both as not only common statues without meanings. Both may represent something important for the city and came from long time ago. 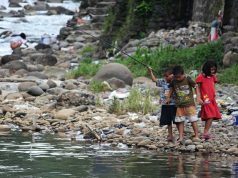 Next articlePernah Berfoto di Pohon Tanpa Daun di KRB? What an interesting piece of art. Love the details too.